Here you'll find answers to your questions about our screen printed products. 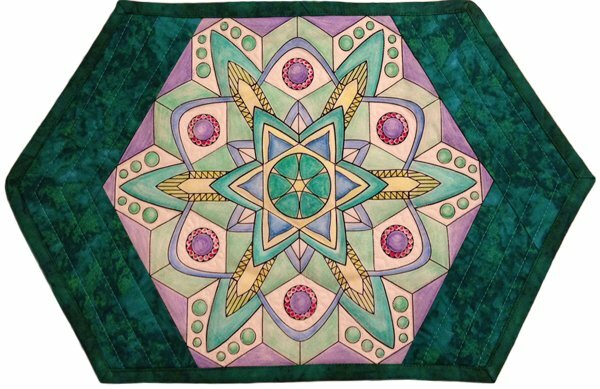 Helpful tips and tricks to coloring your Colorin' Quilts and a few finishing tips. 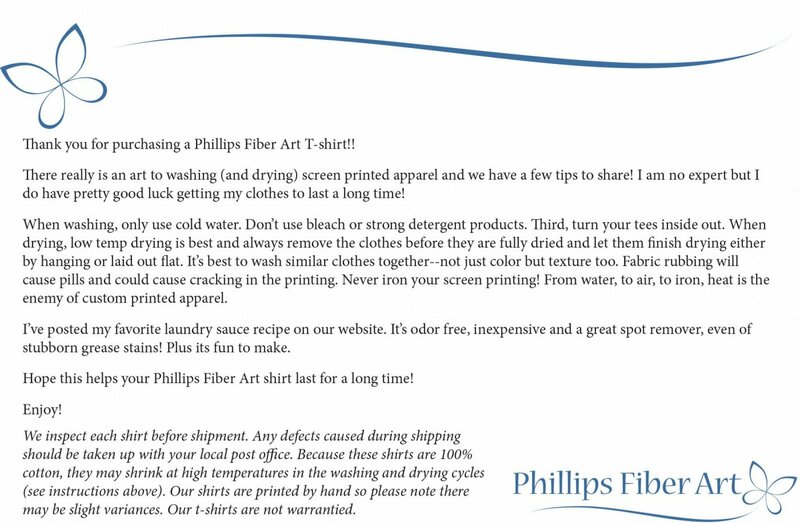 Also tips on caring for your screen printed t-shirts. There are many techniques to coloring our fabric panels. Crayon, Inktense pencils, regular colored pencils, water color, acrillic paints, or fabric markers are all good examples of fun things to play with. 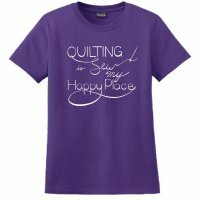 You will need textile medium to set in most of these, with exception of crayon and fabric markers. All must be heat set! 3. Now to play. Each medium has a different technique to try out. Check out the instruction sheet included in the packaging for some specific techniques. 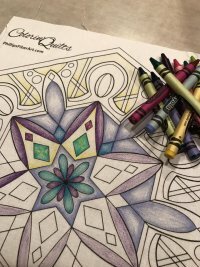 And check out our video on Colorin' Quilts. Lose your Milli instruction sheet? Download it. Day 1: cut your Fels Naptha soap in half and then in to smaller chunks. Place half in one jar and half in the other. Now add 1 1/2 cups of boiling water to each jar. Cover and leave overnight. Day 2: Loosen the jell that the Fels Naptha bar made with a butter knife. 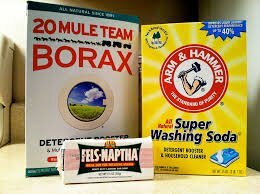 Add 1/2 cup borax and 1/2 cup washing soda to each jar. Add more hot water to the jar so the contents reach just to the shoulder of the jar. Right as it starts to taper. Next you'll be using your jar and the base of your blender. Seat the gasket and blender blade onto the bottom of the jar. Add the blender base and whip until light and fluffy. Just like mayo! One tablespoon of sauce in every load works as your detergent and if you have a stubborn stain, even grease, dab it on and give it a gentle rub. Wash like usual and you'll be amazed at what it can get out! Let's just say it has saved many shirts!! I know there are several other methods. This is the one I have used for a few years now. It's only $1 for the bar each time and the boxes of borax and soda last for a long time! After the 2 years I finally had to buy more washing soda the other day. I'd say each jar is 128 loads and is about $3 at most.